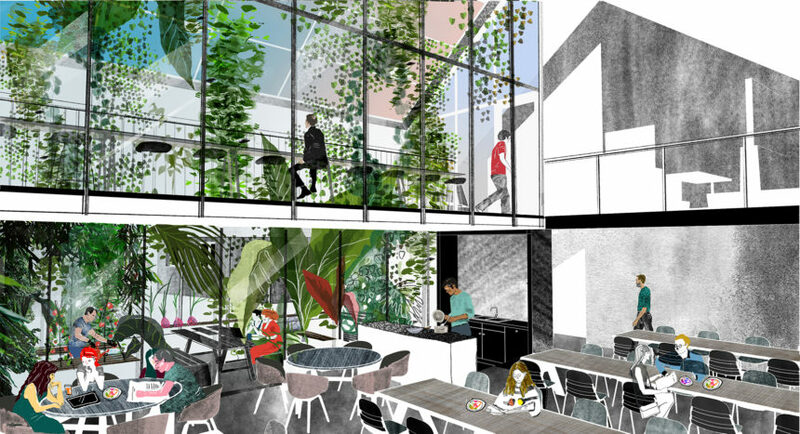 The British Council for Offices launched its NextGen Workplace Competition earlier this year, challenging multi-disciplinary teams from all over the UK to imagine what the workplace in 2035 could look like. Teams were asked to design considered, forward-thinking, and innovative approaches that questioned today’s workplaces and speculated on the future of organisations, people and the environments in which they work. 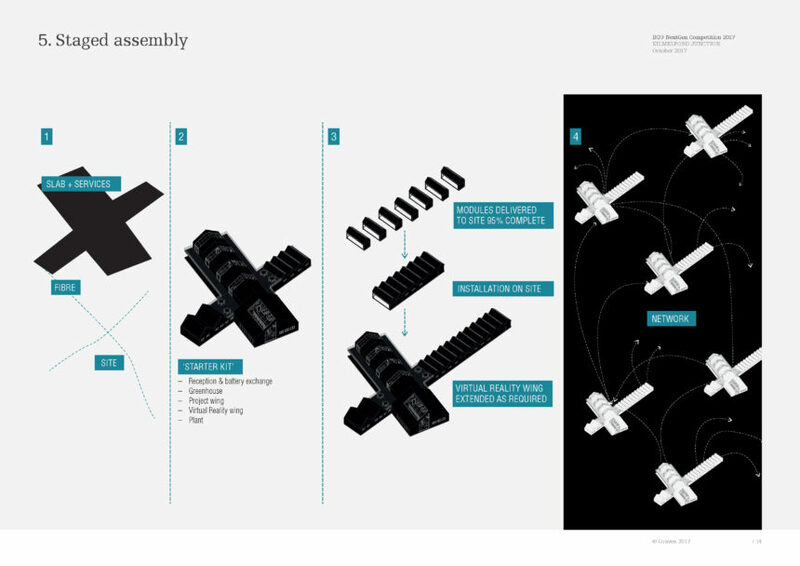 Graven’s proposed global network of social workplaces is a flexible response to pressing contemporary influences on the way we work and live in uncertain times, addressed through emerging technologies and workstyles. All generations are affected by lack of affordable housing, rural and social isolation, access to services and amenities, and the cost of commuting associated with living and working in urban centres. Graven’s entry, ‘Kilmelford Junction’ considers how The Scottish Government’s superfast broadband rollout plans, the advent of the Digital Nomad and virtual/augmented reality technologies could unlock currently underused remote rural locations as viable workplaces. Each ‘Junction’ places an equal focus on business and social requirements of its inhabitants, taking into account the ageing working population and issues of social isolation that will increase in significance in the next 18 years. Kilmelford Junction’s site is situated in an ‘Area of Outstanding Natural Beauty’ and was selected for a combination of social and geographic features that would make a versatile workplace facility of this type of particular benefit to the area for locals and visitors. “This is a lateral response to an unsustainable system overly focussed on urban centres and recognising the growing challenge facing employers and employees of working full-time in city-centre office spaces. 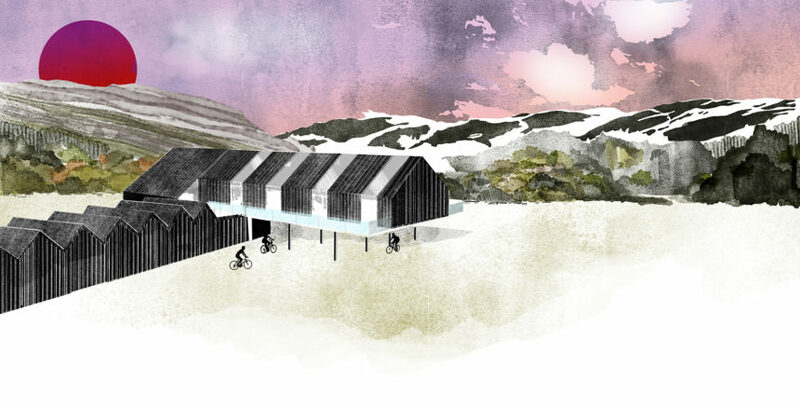 The project provided an opportunity to carry out research into the ways in which the issues related to lack of digital and social connectivity in rural locations could be addressed by design and creative consideration of emerging technologies. 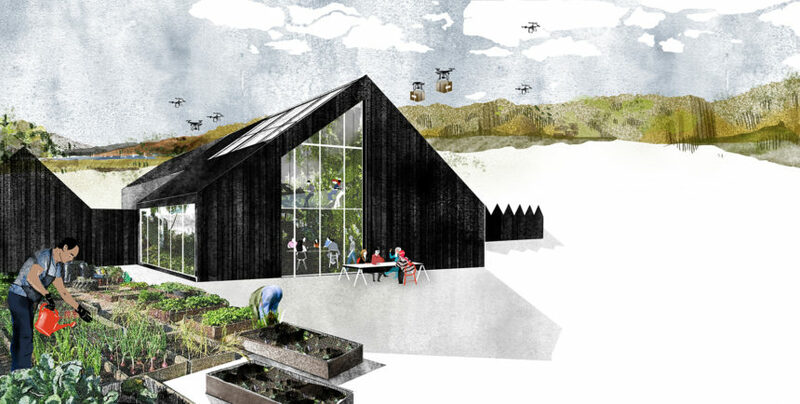 Kilmelford Junction is a remote rural workplace prototype that contains both virtual and physical environments. Ubiquitous and instantaneous technology; a growing interest in health and wellbeing; a greater desire for organisational flexibility; and an increased awareness of individuals’ needs are now all competing factors within the workplace. 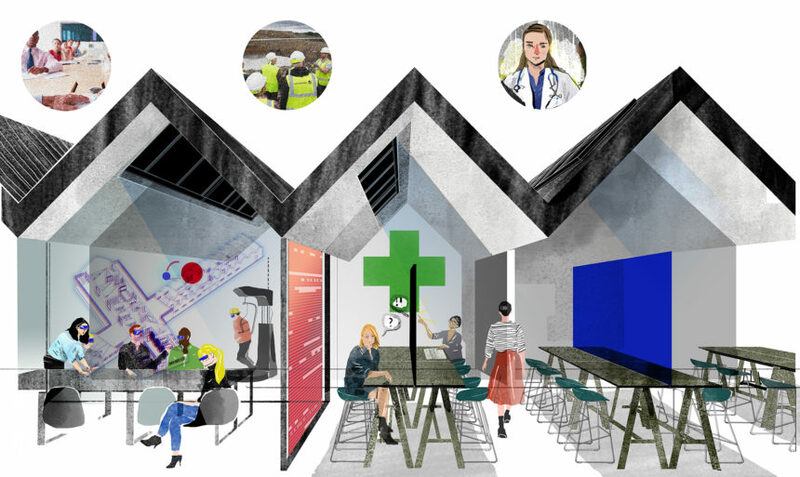 The physical environment of Kilmelford Junction includes a greenhouse and kitchen; conference rooms with leading-edge communications technologies including VR, AR and real-time immersive holographyt (RTIH). There are also hot-desking areas and a 3D-printing room. “The social contract between employers and workers is under intense scrutiny at present: working lives are longer, jobs are vulnerable to automation – not to say robots – and creative fulfilment is increasingly sought by employees. The shortlist was revealed with the winning and highly commended teams be announced at the BCO NextGen Awards Dinner on Wednesday 15 November. 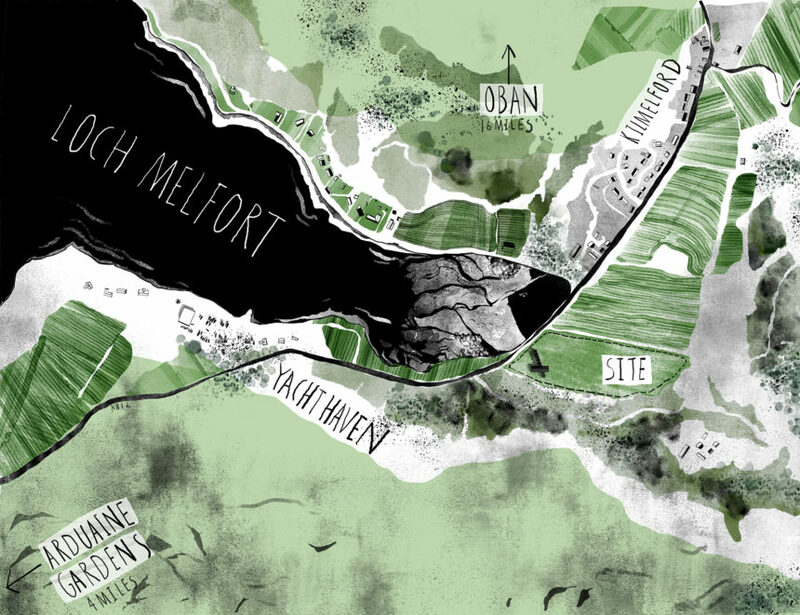 Scroll down to see more of Lauren’s illustrations for the Kilmelford Junction proposal. See Graven’s workplace design portfolio and learn how Graven is using VR technology. Take a look at the Lauren Li Porter illustration website.